Waddup loyal readers. It's a beautiful Thursday and today's photo of the day is this 'creative' guy who was found doing what he does best. 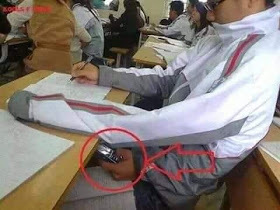 Never try this at school!